In the wake of his announcement to relocate the U.S. embassy in Israel to Jerusalem, President Trump has also vowed to cut funding to the United Nations Relief Works Agency (UNRWA) by 83 percent, in a stated effort to bring the Palestinians back to the negotiating table. 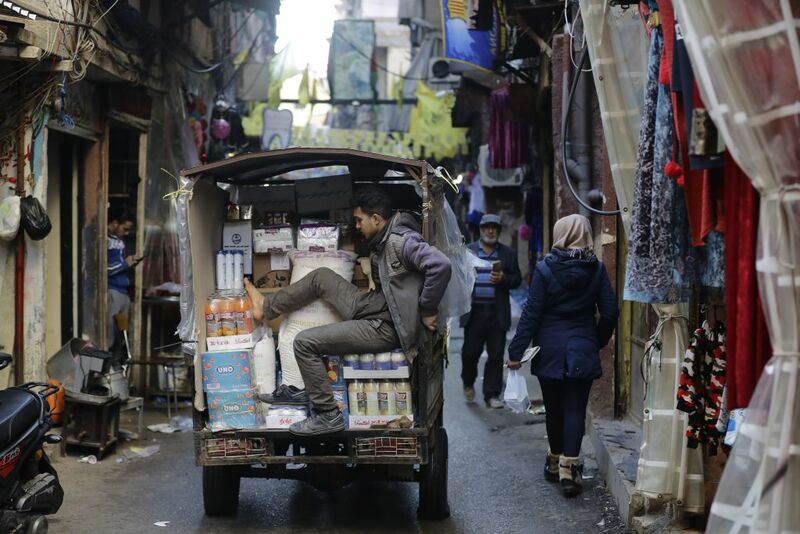 International governments and NGOs swiftly condemned these funding cuts by the United States, citing the critical role UNRWA plays in promoting security and stability in the region through health, education, and assistance programs for Palestinian refugees. The Middle East Institute (MEI) is pleased to host UNRWA’s West Bank Director Scott Anderson and the director of UNRWA’s Representative Office in Washington Elizabeth Campbell, who will discuss the regional impact of this decision and UNRWA’s new global funding push to continue its work. MEI’s director for Gulf studies and government relations, Amb. (ret.) Gerald Feierstein, will moderate the discussion. Scott Anderson is UNRWA’s director of operations in the West Bank, and has served in this role since May 2016. He directs UNRWA’s West Bank programs, operations, and resources including managing the agency’s education system, health clinics, relief and social services, and microfinance initiatives for a population of more than 750,000 registered Palestine refugees. Prior to his current position, Anderson served as Deputy Director of Operations for UNRWA in the Gaza Strip. He has experience working with the UN’s Office for the Coordination of Humanitarian Affairs as the deputy head of office in Kabul, Afghanistan. Anderson honorably served for 21 years in the U.S. Army, where he retired at the rank of Major. Elizabeth Campbel is the Director of UNRWA’s representative office in Washington, D.C. Prior to joining UNRWA, Elizabeth was the senior humanitarian policy advisor in the Bureau of International Organization Affairs in the Department of State, where she worked on refugee and humanitarian issues in the United Nations system. Campbell has also served as a senior advocate for Refugees International, where she focused on the humanitarian crises in East Africa and the Middle East. She was director of Refugee Council USA, an NGO consortium focused on refugee resettlement and protection. She has published several articles and book chapters on refugee and humanitarian issues and has served as an adjunct professor at Georgetown University’s School of Law, James Madison University, and the State University of New York at Binghamton. Her courses focused on humanitarian affairs, refugees, environmental studies, and inequality and social justice. Gerald Feierstein is director for Gulf affairs and government relations at MEI. He retired from the U.S. Foreign Service in May 2016 after a 41-year career with the personal rank of Career Minister. As a diplomat he served in nine overseas postings, including three tours of duty in Pakistan, as well as assignments in Saudi Arabia, Oman, Lebanon, Jerusalem, and Tunisia. In 2010, President Obama appointed Feierstein U.S. Ambassador to Yemen, where he served until 2013. From 2013 until his retirement, Feierstein was Principal Deputy Assistant Secretary of State for Near Eastern Affairs.